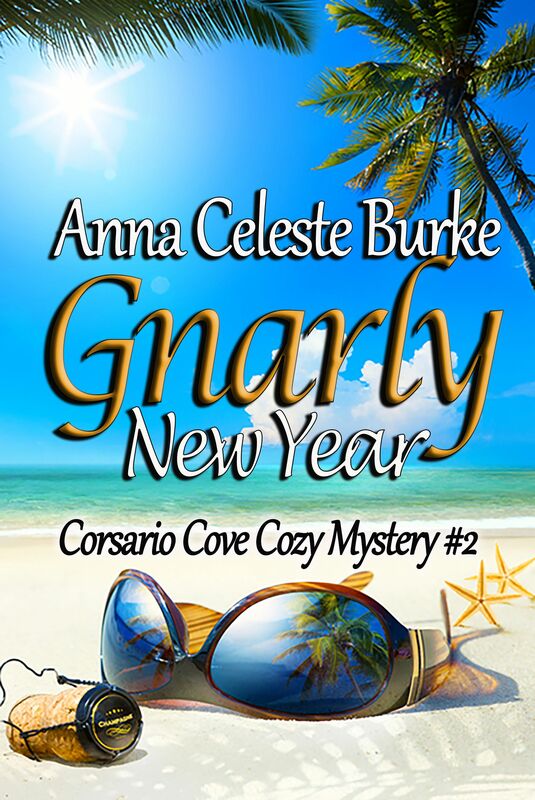 Anna Celeste Burke shares news of her cozy mystery, Gnarly New Year. Ms. Burke is an award-winning and bestselling author who enjoys snooping into life’s mysteries with fun, fiction, & food — California style! Her books includ e the Jessica Huntington Desert Cities Mystery series set in the Coachella Valley near Palm Springs, the Corsario Cove Cozy Mystery series set on California’s Central Coast, and The Georgie Shaw Cozy Mystery series set in Orange County, California–the OC. The honeymoon’s not over yet! Kim and Brien’s excellent adventure at the swanky Sanctuary Resort & Spa continues when an unwelcome visitor drops in on New Year’s Eve. An elusive marine GPS device found and lost again, unleashes another wave of murder and mayhem in Corsario Cove! What is it about that thing? Will the secret be revealed when they visit the chamber of heinousness? Stooges, Krugerrands, and monks — oh my! Is it going to be a Gnarly New Year for Kim and Brien? Thanks for putting the spotlight on Gnarly New Year today. I’m grateful for your support and participation in the blog tour. I hope your readers enjoy learning a little about my raucous duo of newlywed sleuths, Kim & Brien. Cheers!